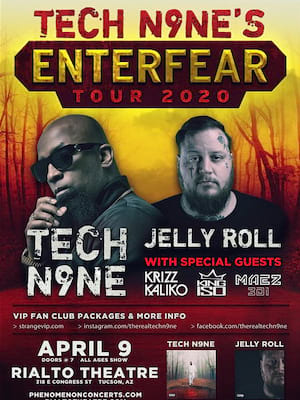 Don't miss Tech N9ne live! Tech N9ne, IT GOES UP Tour! 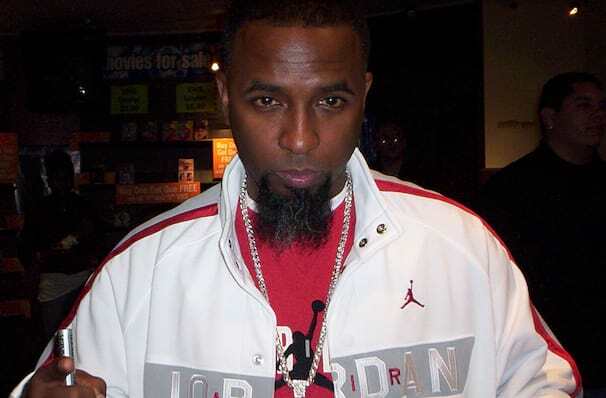 Aaron Dontez Yates or better known as Tech N9ne is an American rapper from Kansas City in Missouri. Having played at sold at venues from New York to Los Angeles Tech N9ne prefers online song sharing than the media attention of tv and radio. He has collaborated with many famous names including 2pac, D12, Kottonmouth Kings and Twiztid amoung others. Tech N9ne will have you rapping through the night and if you weren't rapping before you will be afterwards. The It Goes Up Tour includes special guests Krizz Kaliko, Daniel Dax, Mayday! andUbiquitous of CES CRU. Sound good to you? Share this page on social media and let your friends know about Tech N9ne at Mavericks Rock N' Honky Tonk. Please note: The term Mavericks Rock N' Honky Tonk and/or Tech N9ne as well as all associated graphics, logos, and/or other trademarks, tradenames or copyrights are the property of the Mavericks Rock N' Honky Tonk and/or Tech N9ne and are used herein for factual descriptive purposes only. We are in no way associated with or authorized by the Mavericks Rock N' Honky Tonk and/or Tech N9ne and neither that entity nor any of its affiliates have licensed or endorsed us to sell tickets, goods and or services in conjunction with their events.